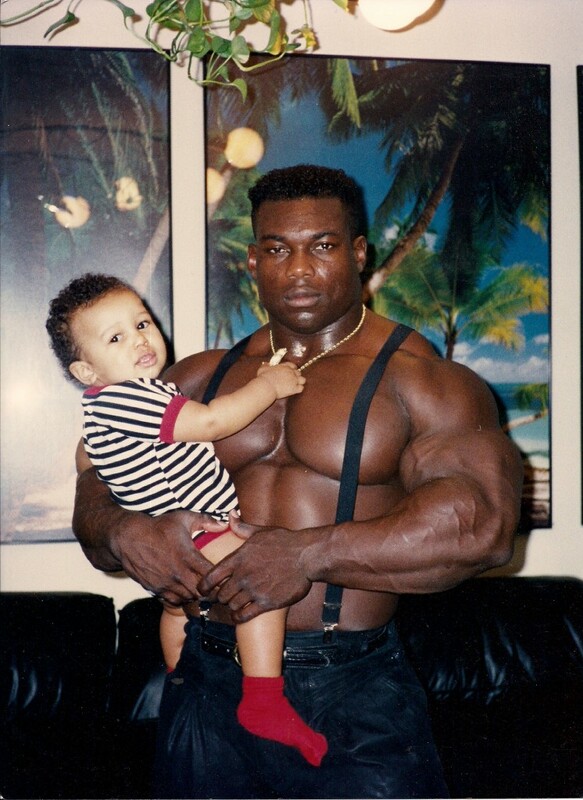 Today Ben Tatar goes one on one with one of the biggest, smartest and most honest bodybuilders of all time, Vic Richards. In this exclusive interview, Vic Richards tells us what it really takes to be the biggest bodybuilder and about all the problems with bodybuilding today. Enjoy Victor’s intense interview as you will come out of Vic’s interview with a whole new perspective on the meaning of bodybuilding. Critical Bench: Vic, we know who you are, so no introduction needed. I have been a fan of yours for a long time and I’m happy to be doing this interview with you today. First of all, tell us about your future plans? Vic Richards: I have been taking my message about holistic bodybuilding–with mind, body and spirit–to the masses. 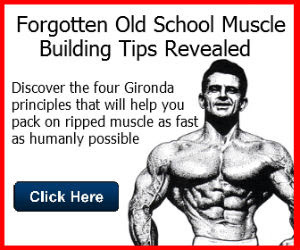 I believe that for the past 50 years, bodybuilders haven’t been capitalizing on the overall benefits of bodybuilding. They are only focused on one thing alone: the showmanship aspect instead of the holistic part. In order to bring this message to more people, I am opening the Vic Richards’ Bodybuilding, Fitness and Nutrition Academy in the Pacific Northwest. At the Academy, we will have organic farming, livestock, and provide a place for meditation, reflection, fitness and self-awareness. 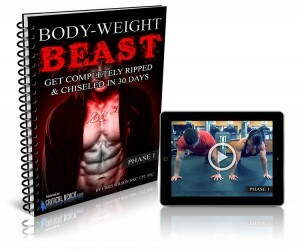 We will also have training that is outside the gym–to show people that you don’t have to give up life for bodybuilding–bodybuilding is about living and life. Along with the Academy, I am planning two eBooks right now. One is a collection of photos with the stories behind them, and another of my story and my philosophy. Critical Bench: We wish you the best with Vic Richards Academy. For anyone reading this, go and attend. 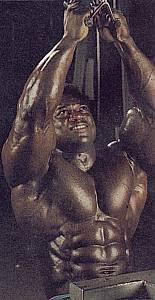 Vic, what has been your most emotional experience in bodybuilding? Vic Richards: When I was in New Zealand, the promoter had scheduled me with a television talk show. Prior to my arrival, the current Mr. Olympia had been on this show. When the talk show started, the host tried to be comical and say that Mr. Olympia had been on the show and that I was bigger than he was. She said Mr. Olympia had said that he trained 24 hours per day and lived in his car. 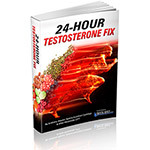 She said that if he trained 24 hours a day, I must train 25 hours per day! My response was, “You don’t have to be an extremist to go to the extreme.” While honoring my colleagues while I was there, I was quick to separate myself by sharing my doctrine about bodybuilding. It’s not about showmanship or trophy or title. It’s about having the ultimate mind, body and spirit, which I call Holistic Bodybuilding. Suddenly, what was supposed to be a comedy hour becomes serious. We end up talking about Buddhist philosophy, meditation, philosophy about life and spirit. After a bit, the information about my seminar came up on the screen with a phone number. The promoter said that this was the largest turnout for a seminar. People were coming from all over and we have to change the venue. 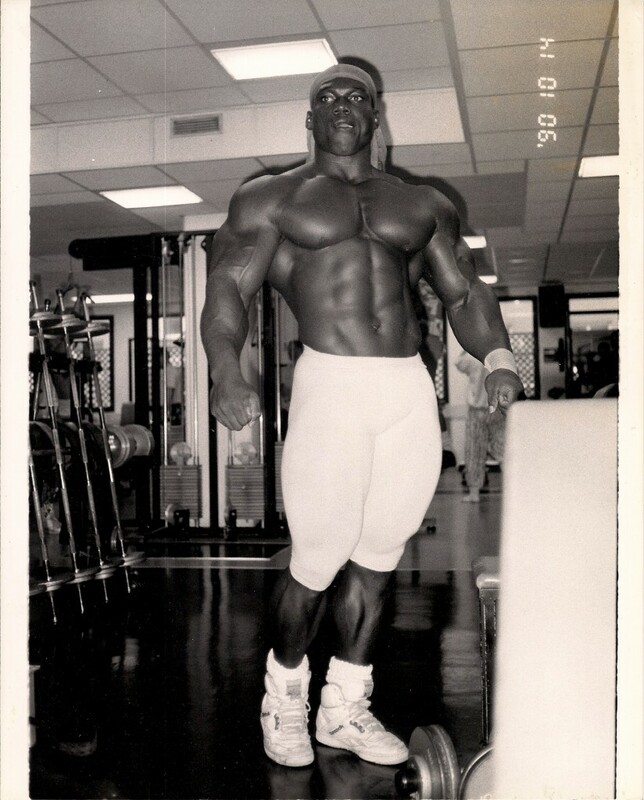 Mind you, this is not the reputation that most bodybuilders had at the time. To see a 70-year old farmer bring his six year old grandson to see me and shake my hand and get my autograph was very emotional. I ended up losing money because I gave my picture away. I couldn’t look a child in the eyes and exploit the situation. I guess I’m a bad businessman! The promoter almost started tearing up after watching all this. He said, “Vic, you have been the only athlete who has come here who has given away pictures to kids. Not only that, you’ve also shaken the image of bodybuilders being the stereotype of dumb muscleheads. We’ve been wanting to bring you here for a long time, but people from IFBB and others told us not to bring you. We’re glad we didn’t listen to them because they are pissed because you don’t play the political game or conform to what others want you to do. “The promoter wrote to Muscle and Fitness magazine and told them how I helped the image of bodybuilding in their country, only to have one of the control freak editors not print his letter. After seeing the corruption and lies first-hand, the promoter decided to quit the institution. He didn’t understand why the bodybuilding establishment refused to promote the ones who could help the sport grow in a positive manner, but support the ones who give bodybuilding a bad name. He quit because of me. Critical Bench: Vic, what has been your most gratifying moment in bodybuilding? And he pleaded with me to do it. On the spot, he cut me a check to appear at the Kevin Laverone Bodybuilding Classic. 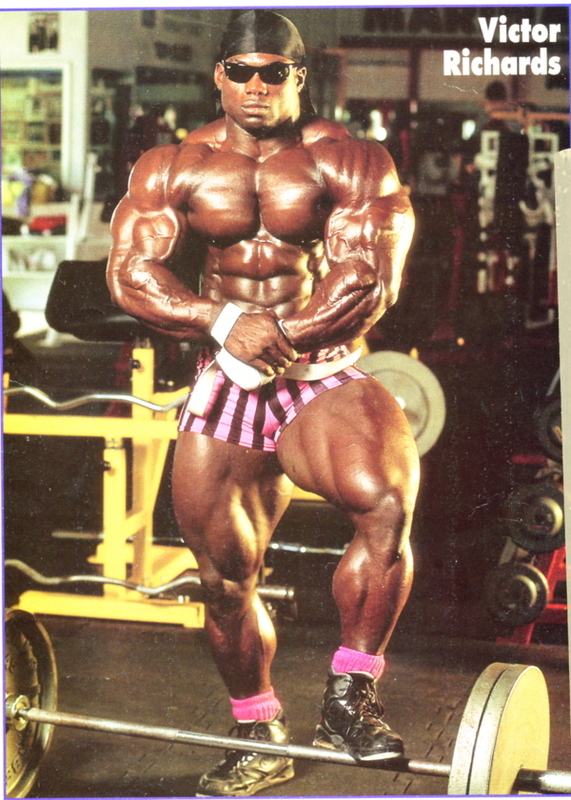 He had just won the Arnold Classic the week before, and was the first runner-up in Mr. Olympia. This was a humbling and gratifying experience coming from legendary athletes themselves. Critical Bench: Big moments. 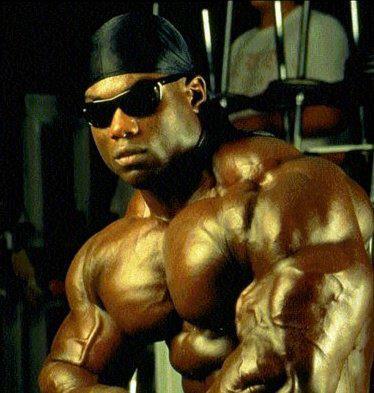 Vic, people said you were the biggest/most jacked bodybuilder of all time. Then you left the industry. What was your turning point in the industry? Vic Richards: The day that changed my life and my attitude about bodybuilding will forever be burned into my mind. It was the day that I saw the true colors of a sport that is rotten on the inside. I was preparing for a photo shoot for Joe Weider and a guest posing appearance at Orange County Muscle Classic with Mike Glass against Gary Strydom. I was in the grocery store in the middle of the night after training at the gym. A mother was grocery shopping with her son who had Muscular Dystrophy and was strapped in a wheelchair. As they walked down the aisle, the son was smiling and waving at me the best he could. When the mother noticed me in the aisle with them, she started to hurry him away. I called after her, “Stop! Stop!” and walked over to them. I touched the boy’s hand and talked with him and joked with him. The mother said that she was so surprised that such an extraordinary person would want to interact with her son. She said that they had to shop in the middle of the night to avoid her son being sneered at, laughed at and made fun of. She said that people were so mean to her son, and to her for keeping him knowing that he had Muscular Dystrophy that she assumed I would be even meaner or ruder because of my size. This broke my heart. After spending a few minutes with this little family, I walked out of the store with tears in my eyes and vowed to make a difference. I contacted Mike Glass and told him that I didn’t want the money from the show sent to me, but donated to Muscular Dystrophy. I also requested that the local MD chapter be able to set up a booth to take donations at the show. However, this decision is what exposed the sport of bodybuilding for what it is. After weeks of asking about the donation, I was told by Mike that “If I’m donating money, I want to choose where to send it.” I said that this was my money and he didn’t have a say in it. I confronted him about pocketing the money and told him that I wouldn’t show up if the donation wasn’t made. His response? “You’d better show up.” I am peaceful, spiritual, but that doesn’t mean I’m passive. I hate injustice of any kind. I would die for what I believe in. If you try to take my dignity and principles away, I will shove my fist down your throat. And then ask Christ for forgiveness because last time I checked, I was not Jesus Christ and I will never be close. I despise bullies and those that will rob from crippled children. I do not want to be part of any man’s bad Karma because when Karma comes to collect, it doesn’t just knock on the door, it burns the house down. athletes who are not being paid by their promoter because after a guest pose, the promoters run out the back door with the money and the athletes aren’t able to complain because then they will be blackballed and unable to work anymore. How many times have you seen an athlete who is on top criticize the industry? You don’t. Because, in order to be a top bodybuilder, you have to be a puppet. In other sports, athletes are able to speak out about issues within their sport without the fear of retaliation. I realized after the night in the grocery store, I didn’t want to be part of a sport that does that to its athletes. 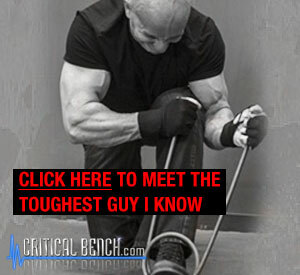 Critical Bench: Give us your training routine, training philosophy and diet? 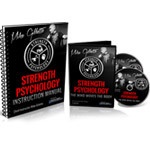 Vic Richards: I train using Vic Richards Instinctive Training. I listen to my body and push it when it wants to be pushed, and I rest it when it needs rest. I do 2 hours of cardio each day, then lift. I believe that over-training is an excuse for the weak, and under-eating is for the birds. There is no way that you can train like a girl and eat like a pigeon and look like a dinosaur. I adopted this doctrine when it was not popular or conventional; when people laughed at it. When people went South, I went North because I understood that in order to be different, I can’t do what everyone else is doing. I took bodybuilding to another level. Not just by genetics alone, but by wisdom. A lot of the things I was reading about in the magazines didn’t make sense. I’m a non-conformist. My nutrition is to eat as clean as possible. I eat lots of poultry, fish, eggs and vegetables–always with hot sauce to keep the metabolism going! I will sauté onions, peppers, mushrooms, greens and whatever other vegetables I have on hand, then put grilled chicken, elk or moose (instead of beef) over it. The vegetables are very filling, and the meat provides protein. For carbs, I usually eat sweet potatoes–baked or microwaved. In my early days, I ate a lot of rice and egg whites. Critical Bench: Off the hook, love it. Real stuff! Vic, what is your message to the bodybuilding world? Vic Richards: My message is that we are all ambassadors to the sport. We cannot conform to the stereotype of society: those that are in the sport who are not interested in image and the well-being of bodybuilders. It’s important to have individuality instead of the herd mentality. In order to be free, you have to accept the fact that you are incarcerated by the few who try to exploit you. Bodybuilding was created for man, not man for bodybuilding; just like the Sabbath was created for man, not man for the Sabbath. You cannot be a cookie-cutter. Bodybuilding is about freeing your spirit, not imprisoning it. Critical Bench: Very profound ideas. Speaking of ideas, tell us about “Ask Big Vic Radio,” your Webinars and about your social media outlets? Vic Richards: Recently, I’ve started Ask Big Vic Radio (www.askbigvicradio.com) in order to share my opinions on different topics, and even have people call in for interviews and shows. 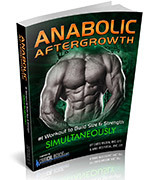 I have always had Muscle Outcast (www.muscleoutcast.com), but felt that I couldn’t express my opinions outside of bodybuilding in that forum. Ask Big Vic Radio allows me to branch out to the mainstream on topics that I have opinions on. And I have lots of opinions! I’m using Facebook and other social media to have a more personal connection with my fans, and that has allowed me to check on clients and see their progress based on what’s happening on Facebook. In the past, without social media, those that want to keep us conformed had control over what we read, heard and saw. Now the genie is out of the bottle. I also share relevant articles, posts, etc. with my fans on Facebook. Now I’m moving on to online Webinars in order to share my message to the masses. 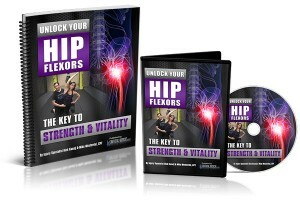 These webinars will be to show bodybuilders how to be a complete human being, not just a physical being. You do not have to be a zombie to be a bodybuilder. Critical Bench: That’s awesome. How do you want to be remembered? Vic Richards: I want to be remembered as a man who told the truth. Who didn’t compromise my dignity and soul to gain the world. A man who refused to play in the sandbox with the devil. A man who did not partake in using the gifts that the Good Lord has given me to make love to the dead; instead I used the gift to enlighten others instead of my own personal gain. Finally, I love bodybuilding more than bodybuilding loves itself. I dance to my own drum and tune. Critical Bench: Vic, How do you see the future of bodybuilding? 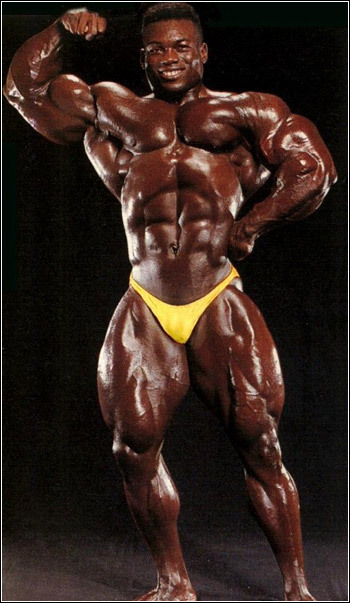 Vic Richards: The future of bodybuilding has always had the potential to be great. But the future of bodybuilding will always be bleak because of the people who are looking out for their own personal interests instead of the growth of the industry. There has never been a sport that has the potential of bodybuilding because bodybuilding covers all areas of health and wellness: sexual, physical, mental. The fact that the industry isn’t capitalizing on this because they want to line their wallets and not let large industries like Nike in, shows that they do not want educated people in the sport. It benefits them to stink up the sport instead of benefiting the world with it. 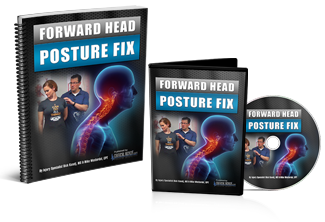 If we can share this message with the masses–the message of health and wellness, sport conditioning–then people can understand the sport for what it really is. Instead it’s full of corruption and greed. Critical Bench: What do you want to see changed in bodybuilding ? Vic Richards: There needs to be consistency and freedom of speech without persecution and prosecution. Bodybuilding is spiritual and it’s about freedom. It’s not about imprisonment. The judging is so contradictory. You can’t give us pint-sized Frank Zane as a Mr. Olympia as the standard of bodybuilding and then turn around and change it to brick-sized Dorian Yates. It’s contradictory and hypocritical. Every sport has rules. In soccer if you get a goal past the net, it’s a score. You don’t always shift the goal post every game. In baseball, if you hit the ball out of the park, it’s a home run. And in football, after 100 yards, it’s a touchdown. But in bodybuilding, yesterday they gave you a midget and another day you might not know what you will get. It all depends on what kind of drink the judges are having that night–cognac or whiskey. There has to be consistency to show people what to expect. Athletes should not be competing blindfolded. Critical Bench: Vic, love your thoughts and the analogies you use- very intellectual, articulate and entertaining. 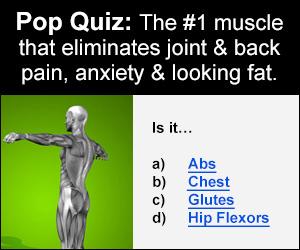 Last question, how did you become one of the biggest bodybuilders to ever live? Vic Richards: Combination of a lot of things. First of all, the genetics of the Good Lord and good parents, and the revelation of using my mind to see that a lot of things that had been said in the past didn’t make sense. In order to get to the shore, I have to find my own way. Bodybuilding is not about conforming, but about not conforming. I broke all the rules in order to separate myself from the herd. It was what I did while others were sleeping and celebrating that separated me from the herd. I have not even broken the surface of what I did when it came to my training. It was everything they told you not to do.